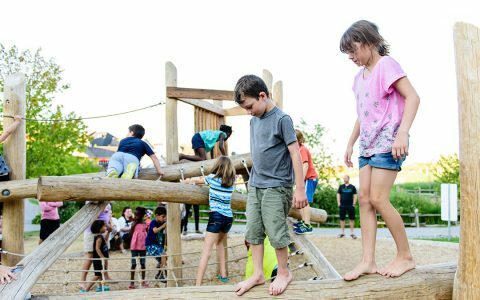 At Earthscape, our goal is to design and build incredible custom playgrounds that open children’s imaginations, stimulate their creativity and challenge their motor development. 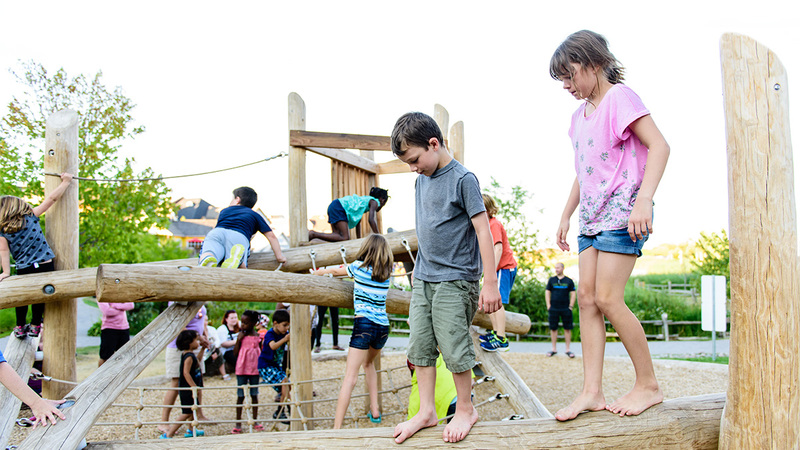 Inspired by the playgrounds of the world, Earthscape strives to create the very best play spaces where children can take appropriate and measured risk to advance their social, cognitive and physical development. We believe playgrounds should offer endless opportunities for growth and play for children of all ages, abilities and play styles. Natural materials are at the heart of our complete playground designs because we believe children need more nature, not less. Complex and challenging structures, with dynamic features encourage climbing, balancing, jumping, mobility, strength, executive function, imagination and coordination. Risk and independence, failure and mastery, friendship and silence, are all facilitated by our playground designs and our constructed sites. Our playgrounds are designed and fabricated in our Elmira, Ontario workshop where our experienced designers, crafts people and installation technicians work side-by-side to ensure adherence to strict safety standards while maximizing play potential. 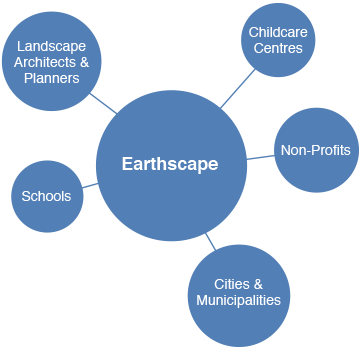 Earthscape is an award winning design-build firm, established in 2005. Since 2006, we have received forty-one Awards of Excellence from Landscape Ontario for Playground Construction, Playground Design, Commercial Design, Landscape Construction, Landscape Design, Water Feature Design/Build, Lighting and Garden Design. Our field offices are located in Toronto (Lawrence Park) and Elmira, Ontario, Canada. Our team is passionate about designing creative and unique opportunities for play and exposing children to nature. We provide quality custom playgrounds that encourage children to take appropriate and measured risks to further their social, cognitive, and physical development. As a company, we believe that each playground should offer a wide variety of opportunities for growth for children of all ages and abilities.